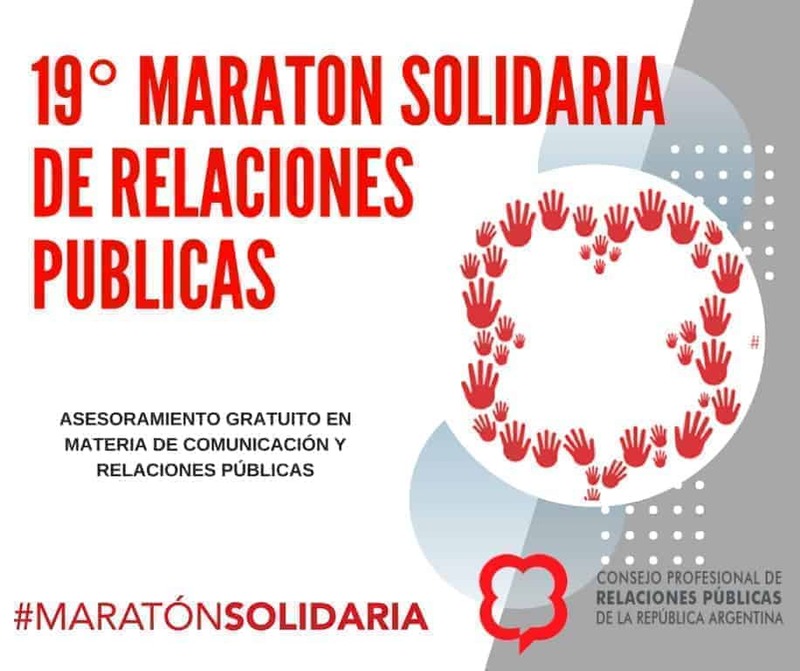 On Wednesday, June 6th, at 9 o’clock, our organisation will participate, as a guest, at the 19th Solidarity Marathon of Public Relations, the first one in Misiones, that will happen in the Salón Dos Constituciones of the House of Representatives. The event is organized by the professional council of public relations of the Argentine republic and this year the new partners are: the childhood, gender, family and youth committee of the provincial legislature, IPLYC S.E. Confort, Créditos y Servicios, the program Quiero Ser Quiero Estar led by Mabel Pezoa, the town hall of Posadas, Aguas Misioneras S.E. and the educational institute León ISET. The solidarity marathon is an action of civil responsibility. It aims at training and advising freely organizations of the civil society in order to help them to develop their communication plans, media and public relations. Several teams made up of professionals and students of the communication field will be responsible of advising organizations during sessions of two hours on the day of the event. The team will write up a report of a communication plan (depending on the case) in order to pitch it to the NGO within 30 days. During the event two case that were successful will be presented, and the meeting will end with a discussion on the strategic communication field’s challenges and tendencies within organizations. En esta edición, participarán de manera simultánea 7 ciudades de Argentina: Mendoza, Córdoba, Rosario, Mar del Plata, La Plata, Ciudad de Buenos Aires y Posadas. The solidarity marathon was declared of « city interest » by the town hall of Posadas and of « provincial interest » for the House of Representatives of the province of Misiones.